When all you need is to be all alone and lock yourself in your room. If you find some difficulties while accessing this blog, please e-mail me (simply click the link to view my complete profile to find my e-mail addresses) or LINE me for fast respond (LINE id=rin.chan.ish) A college student of Japanese Literature who loves hikikomori. I have a lot of hobbies like playing guitar, basketball, gaming, and so on. Takamina is my AKB48 kami-oshi. Do you have something to ask? Feel free to ask me anytime on my tumblr/ask.fm account. Don't worry, I don't bite. Hello, my loyal viewers! How’s it going? I think I’m neglecting this blog way too long. And it’s time for me to return here. And sorry for those viewers who are actually hoping for another updates of fan fictions or any news regarding our beloved Takahashi Minami and Maeda Atsuko. Guess what? I’m way too out-of-touch with their news these days. And I just knew about Takamina’s new romance ‘rumor’ three days ago (I think). If you want to know my thoughts regarding that one, I’d gladly write it down but not now (but I prefer not to). Let’s talk about my new fandom; Marvel Cinematic Universe (MCU). Oh, wait. X-Men movies are not from Marvel Studio. They’re FOX’s. Okay, let me rephrase it, my new fandom; Marvel Comics and Cinematic Universe! Well actually I’m really into Marvel since the days I came back from Japan, September last year. I was playing “Marvel Contest of Champions” mobile game almost every day then. And thank God, my best buddy is a superheroes geek! I started to watch (and rewatched) some of Marvel’s superhero movies like Captain America, Iron Man, The Avengers, X-Men, Ant Man, Star Wars…wait. I said Marvel, didn’t I? Well, as a start of a geek’s life, I watched Star Wars movies too. Okay, but that’s not the point. 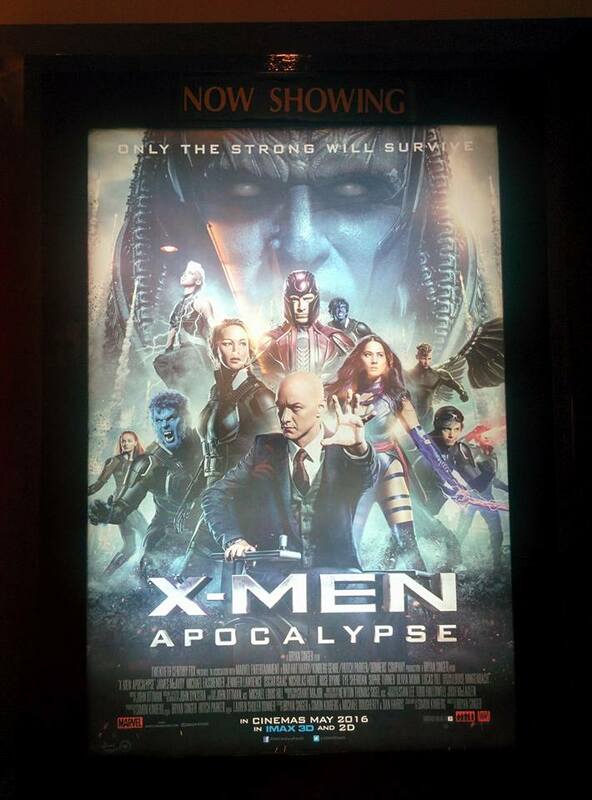 This time, I’ll try to write a review (based on my point of view, for sure so…no offense) of X-Men: Apocalypse. This is my first movie review so…please pardon my writings. Let me warn you again, SPOILERS AHEAD! Read at your own risks. I watched in the second day of the premiere (FYI, this movie’s premiere in Indonesia was May, 18th) because my partner in crime couldn’t make it for afternoon even evening shows. Unlike Captain America: Civil War, the hype for this movie in my vicinity is…low. I mean…come on! It’s the second day but there were too many empty seats! It was way too contrasted with the day when I watched Civil War for the second time (about a week after premiere). The theater was almost filled up that time. Only 2 rows of seats were empty if my memory serves me well. I didn’t know how about the first day of X-Men: Apocalypse here. I hope it was lees empty seats. So I’m sure you people know the story about this movie. Yes, it’s about En Sabah Nur; the first mutant in the world who is continuing on living by transferring his consciousness to a new, younger and stronger body of a mutant. He was believed a God by some people in Egypt decades ago. But there were some rebels who claimed that he is a fake God and ruined the ritual of transfer. In late 70s, En Sabah Nur raised back, thanks to that certain CIA agent who didn’t close the door. Joke aside, En Sabah Nur is back to take over the world by the help of Magneto, Storm, Angel and Psylocke. And the X-Men; Professor X, Mystique, Beast, Jean, Cyclops, (my love) Quicksilver and Nightclawler will go against him to protect the world from an apocalypse. The first limelight of this show went to Cyclops. 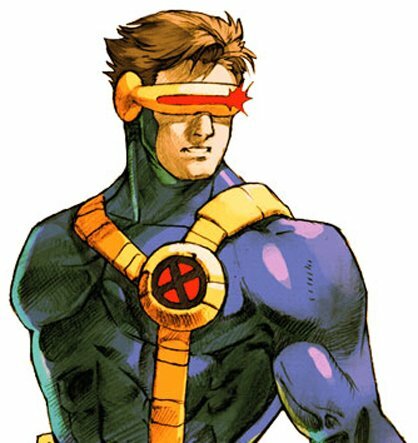 Scott Summers started to feel that something is wrong with his sights. When he was hiding in a toilet from the bully, his eyes burst out red optic blast and destroyed most of the toilet. Then his brother, Alex Summers recommended him to enroll Xavier School. There, he met Jean Grey and other gifted youngsters. Professor X took an instant interest in him after he blasted off a memorable tree in the school yard. The next limelight went to… Hmm… Let’s see. I’d say; Raven (Mystique). She went back to Xavier School along with Nightclawler after saving him from a mutant battle versus Angel and met Hank as their fellow blue buddies. She asked Charles to also train the students how to fight (I don’t really remember her parts because I didn’t really pay more attention to her character). After the incident in Washington D.C (X-Men: Days of Future Past reference), she has become a hero to some of mutants all over the world. Even Storm is idolizing and looking up to her as a hero. She led the team (X-Men) to save Charles (Professor X) and prevent En Sabah Nur to transfer himself into Charles. I and my buddy couldn’t hold our fangirl feels anymore when Erik (Magneto) appeared in the big screen. After Washington D.C’s incident, he tried to hide the fact that he is Magneto by changing his name and working as an ordinary worker at a factory in Poland (please correct me if I’m wrong). It was kinda heartbreaking when I knew that he is married and has a daughter (around 6 y.o). One day at the factory, a big and heavy machinery was about to fall on a certain worker. Erik prevented it using his power but unfortunately some workers witnessed that act. The next day, some police officers kidnapped Nina (Erik’s daughter) to the forest. They wanted to arrest Erik and in exchange they would release Nina. But Nina didn’t want those police officers to take away his father. She cried and her hidden power awakens. One officer accidentally released his bow when Nina was using her power. Nina’s mom was trying to protect her from the bow but unfortunately, the bow jabbed her and Nina at once. It was even heartbreaking to me… Seeing Erik is crying because he lost his family…again. And yeah, thanks to that. The true Magneto is back and soon killed those officers like there is no tomorrow. Anyway, this ‘Nina’ is somehow like…Wanda, to me. In the comic universe, Peter/Pietro (Quicksilver) and Wanda (Scarlet Witch) are Erik’s children. In Avengers: Age of Ultron, MCU killed ‘their’ Quicksilver. So… Can I assume that FOX let ‘their’ Scarlet Witch died? Well. I’ll just hope that Peter and Wanda will meet for real eventually in the cinematic universe (although it sounds impossible at this rate). Speaking about Quicksilver, I’ve been waiting for this movie not just because I’m a fan on X-Men movies but I’m also A HUGE FAN OF PETER MAXIMOFF a.k.a QUICKSILVER! Whoops, sorry. Caps lock suddenly broken. The moment I saw his back when he was watching Magneto on the news, I already gasped and tried not to be too loud myself. My favorite scene of all is when Peter was about to visit Xavier School, there was an explosion incident and he saved the whole students and teachers by his very cool and unique own style. Too bad he couldn’t save Alex because he was too near to the explosion. He decided to join X-Men because he wanted to see Magneto in person. When he talked to Raven about his reason of joining, I was mumbling “He is my father… He is my father…” non-stop and VOILA! He really said it to Raven that Erik is his father. I clenched both of my fists and “Yessss!!”. Finally! I’ll see a reunion moment of father and son! That’s what I thought. In the end, Peter is holding himself to tell the truth to Erik that he is his son. But I’m sure he will tell Erik eventually. I’m sure he is holding himself is for the best of both of them. I’ll be waiting for the real reunion. And hopefully along with Wanda. I can hope, right? And so I heard from the news that Wolverine came out in the last trailer of this movie. Yeah, he was a part of this movie. But unlike Spiderman in Civil War, his appearance was just about 2 minutes long. He was in a Weapon X cage at Stryker’s lab. Yeah, young Stryker strikes again! Stryker captured him to his lab and experimented on his claws and bones. After done with the experiment, he put him in a cage. Before he comes out of the cage, Stryker captured some of X-Men such as Raven, Peter, and Hank. Scott, Jean and Nightcrawler were hiding when Stryker captured them. And thanks to Jean, she manipulated one of Stryker’s men so he couldn’t see those three. When Scott, Jean and Nightcrawler were about to rescue Raven and the others, Nightcrawler leaped them to the power engine source room, where Logan’s cage was put. They heard the growl from it so they opened it. Logan came out enraging. But then Jean calmed him by using her telepathic power into his mind. There, is the beginning of the triangle love between Scott-Jean-Logan. Hah! Speaking of Jean, she really stole the show at the very end. I was amazed and jaw dropped at her true power. She is the true hero here! She shaved—I mean, saved Charles from death, killed En Sabah Nur and saved the world from an apocalypse. The only thing that I dissatisfied about is Logan’s screen time. It was too short. But well, he will have his own movie next year. The last of Hugh Jackman’s Wolverine ; _ ; I think I can’t see Wolverine in cinematic universe like I used to if he isn’t Hugh Jackman anymore. I don’t get it why some people gave bad ratings for this movie. Anyway, I’m really looking forward to next X-Men movies. I was hyped when I saw those X-Men’s uniform at the end of the movie. It really looked alike in the comic universe and I like it! Especially Cyclops’. Well, that’s it. That’s my review about a movie. Phew. This sure is long. It’s like a whole chapter of a fanfiction. See you next time!